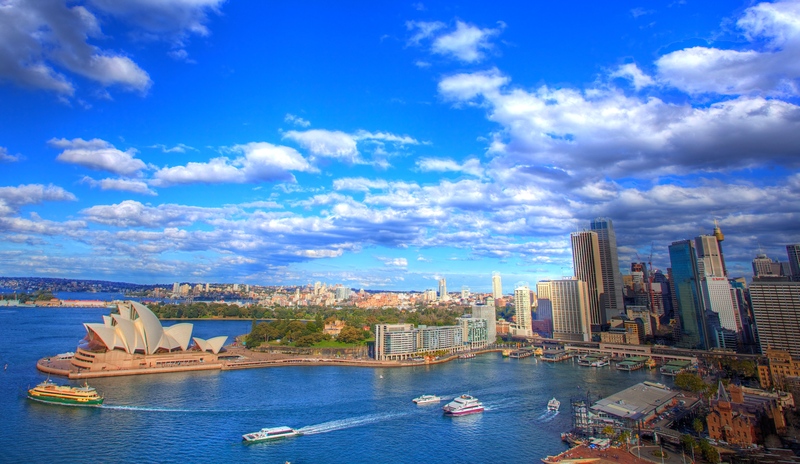 Australia’s most populous and multicultural city, Sydney sits boldly on the shores of Sydney Harbour, one of the largest and most beautiful natural harbors in the world, with its iconic bridge and the Sydney Opera House. Located on the southeast coast of Australia and capital of the state of New South Wales, it was settled by the British as a penal colony and has since grown into a sophisticated and elegant city, visited annually by millions of people. Sydney is where most visitors to Australia arrive; it is the country's most famous city, home to two of the world's most famous architectural icons. The city is also steeped in history, having been inhabited for tens of thousands of years by the indigenous Australians before the First Fleet arrived in 1788 and the very first Australian colony was established. There are several excellent museums that exhibit the city's and country's long and rich history, as well as native and international art, and natural history. 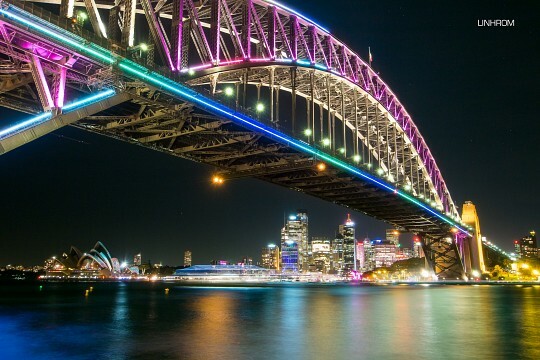 Add to that a throbbing nightlife, sunny weather, perfect beaches and a close proximity to wilderness, and it is obvious why Sydney is one of the greatest cities on the planet. Sydney is the most multicultural city in Australia. More than 250 different languages are spoken in the city and about a third of the nearly-5-million-strong population was born overseas. It is also the leading financial hub in the Asia Pacific and has a larger economy than countries such as Singapore and Denmark. 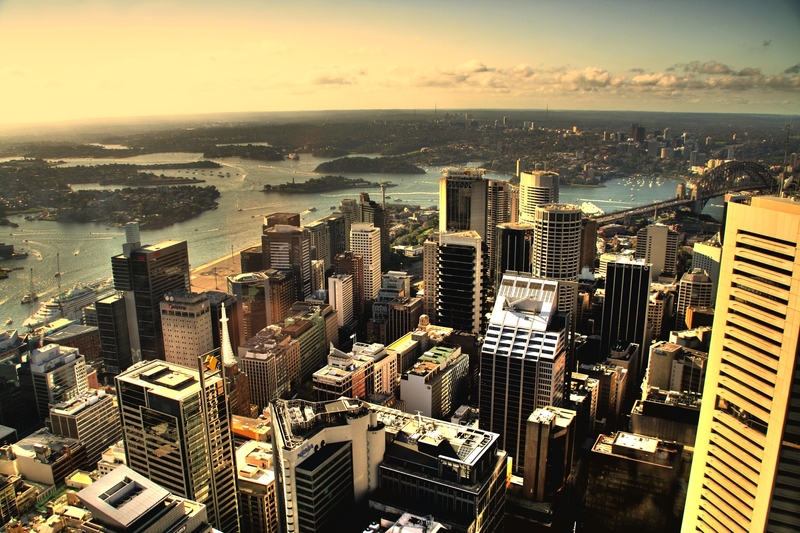 Almost three million people visit Sydney every year, which is about half of all visits to Australia. Indigenous Australians were the first to inhabit the area with radiocarbon dating suggesting their presence to date back at least 30,000 years. Prior to British arrival, there were between 4,000 and 8,000 native people from around 29 different clans living in the Sydney area. Lieutenant James Cook landed at Botany Bay on 29 April 1770 on a mission of exploration with this date marked as the first encounter between the native and British people in the area. 16 years later, in 1786, Britain decided to establish a penal colony in this newly discovered land, and the First Fleet of 11 ships and around 850 convicts landed at Botany Bay on 18 January 1788. Deciding the soil to be poor and due to a lack of fresh water, Captain Arthur Phillip, who was assigned with the new colony’s establishment, sailed a short way north and arrived at Port Jackson on 26 January with the official proclamation and naming on 7 February. The name ‘Sydney’ was decided on in recognition of Thomas Townshend, Lord Sydney who authorized the establishment of the settlement. The first years of the settlement were not easy. Supplies ran low and little could be cultivated from the land, while a smallpox epidemic in 1789 killed around half of the native people in the Sydney area. Many indigenous people responded to the British with violent resistance, and in 1810 Lachlan Macquarie became Governor and initiated a project to ‘civilize, Christianize, and educate’ Aboriginal children by removing them from their families and putting them in British households. The maritime trade in wool, among other things, helped to boost the economy, while roads, bridges, wharves, and public buildings began to be built using convict labor. By the time convict transportation ended in the 1840s, Sydney had a population of 35,000 and the municipal council was incorporated in 1842, making Sydney Australia’s first city. The discovery of gold boosted the population as people flooded to the surrounding area, and the Commonwealth of Australia was inaugurated on 1 January 1901 with Sydney becoming the capital city of New South Wales. Despite the Great Depression that left many unemployed, the construction of the Sydney Harbour Bridge resulted in 1,400 jobs created between 1924 and 1932, and by 1925, the population had reached 1 million. During World War II, Sydney was a center for industrial development with labor shortages, resulting in women becoming active in male roles. The city felt the direct impact of the war with Japanese submarines attacking the harbor on 1 June 1942. Following the war, Sydney’s economy flourished and the population boomed to almost 3 million by 1975. The Sydney Opera House was opened in 1973, becoming one of the city’s most iconic buildings situated right on the harbor. Sydney has advanced into a strong economy, larger than that of Singapore or Hong Kong with strengths in finance, manufacturing, and tourism. The 2000 Summer Olympics saw an influx of people to the city and was dubbed the ‘best Olympic Games ever’ by the President of the International Olympic Committee. With a current population of around 4.5 million, about 1.5 million of these people were born overseas with more than 250 different languages spoken in Sydney, making it one of the most multicultural cities in the world. Sydney is located on Sydney Cove , described by Captain Arthur Phillip as ‘without exception the finest harbor in the world’. The Tasman Sea lies to the east, the Hawkesbury River to the north, the Blue Mountains to the west, and the Woronora Plateau to the south. 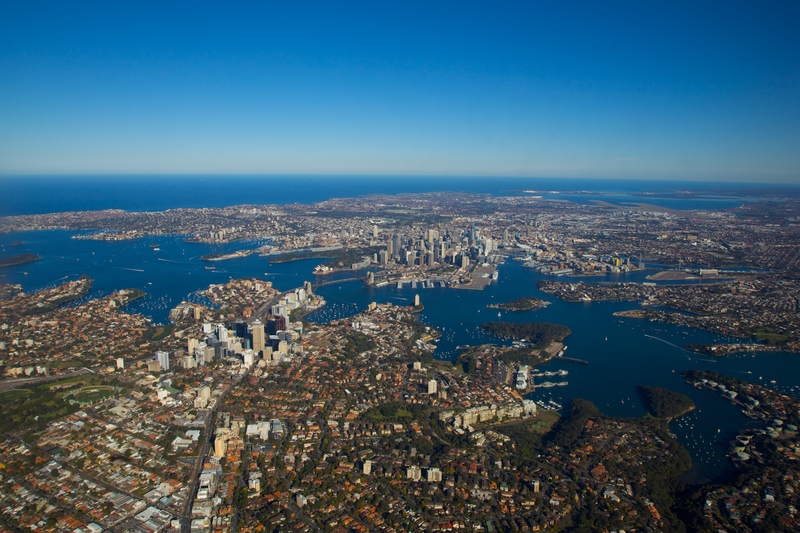 The inner city covers 9.7 square miles, the urban area 651 square miles, and the Greater Sydney region is no less than 4,775 square miles large, making it one of the most expansive cities in the world in terms of surface area. 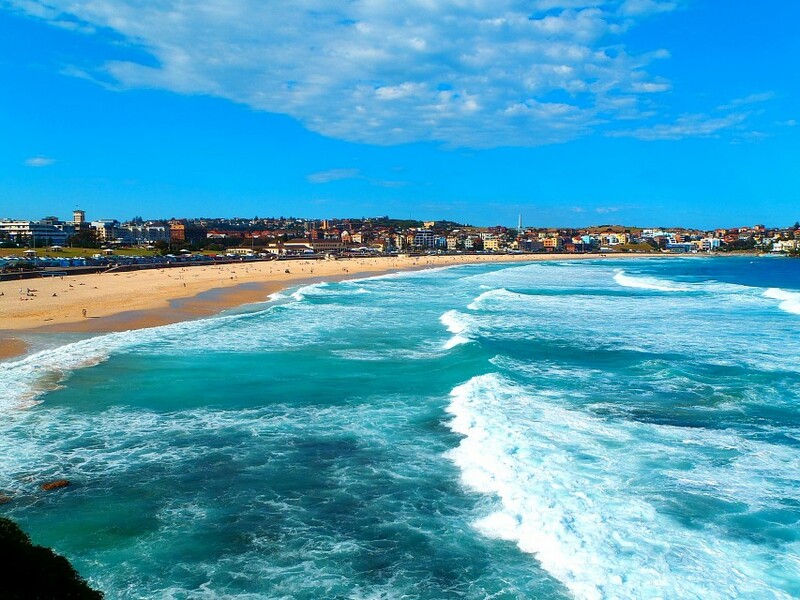 The city also consists of many miles of coastline and is home to about seventy beaches, of which Bondi Beach is the most famous. Sydney's lies in the so-called Sydney basin, which is made up mainly of Triassic rock, along with some more recent igneous dykes and volcanic formations. It came into being when the Earth’s crust expanded and subsided, and the volcanic gaps, craters and other kinds of holes and crests were filled in by sediment in the early Triassic period. Nearly all of the visible rocks in and around the city are sandstone, a layer that is about 656 feet thick and is crisscrossed with fossil riverbeds. 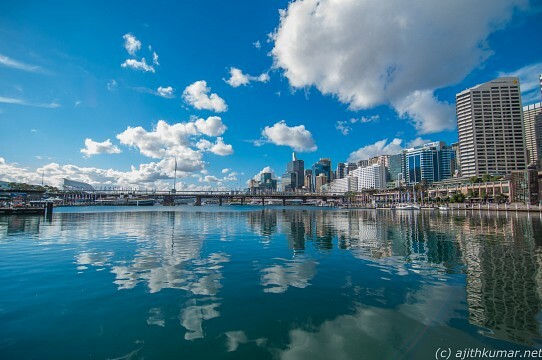 Sydney is blessed with a humid subtropical climate which results in warm to hot summers and relatively mild winters. Temperatures range between 66 °F (66 °F) to 79 °F (79 °F) in summer and rarely drop below 41 °F (41 °F) during winter. The city’s proximity to the coast moderates temperatures with the inland western suburbs being generally 2 degrees higher than the coast during summer, and 2 degrees lower during winter. Rainfall is relatively even throughout the year, averaging 1,212.4 millimeters. Unlike the north of the Australian east coast, the Sydney region and the southeast coast isn't vulnerable to cyclones and flooding, although the remnants of tropical storms do occasionally pass over the city. Because the Great Sydney region is surrounded by dry bushland, the outer suburbs are prone to bushfires in spring and summer. Heavy hail and rainstorms do occur as well. In general, though, the climate in Sydney is near perfect, with an annual mean temperature higher than 63 °F (64 °F). The sea temperature is even warmer, averaging more than 68 °F (68 °F). The Sydney Opera House is one of Sydney's major icons, and arguably one of the most famous landmarks in the world. It's comparable to the Statue of Liberty or the Eiffel Tower. 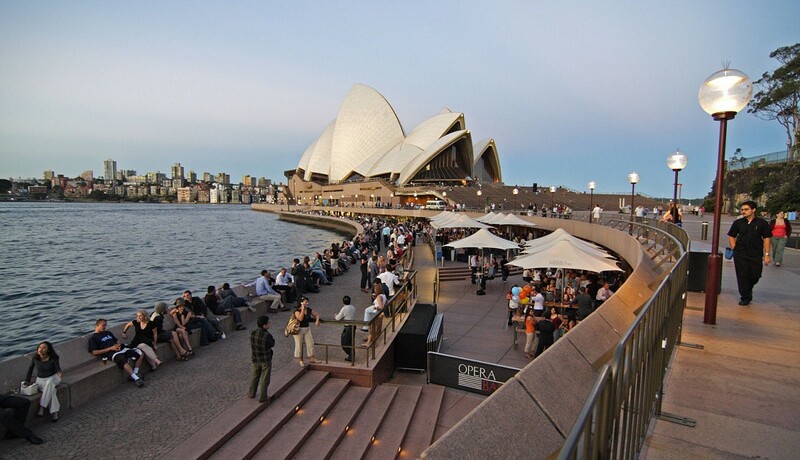 The Opera House is conveniently located in the heart of the city, at Sydney Harbour and not too far from the ferry terminals and train station of Circular Quay. There is a fine view of the Sydney Harbour Bridge, as well as the Royal Botanic Gardens Sydney. The Sydney Harbour Bridge is no less than 1.5 miles long and is another major landmark in the city. It is a truly enormous bridge, connecting the northern suburbs with the Central Business District. There is a railroad, several car lanes and a walking path across; particularly the walking path is recommended because of the fabulous views. The bridge can also be climbed for even better skyline vistas. The Harbour Bridge is at its most spectacular on New Year's Eve, when it is the epicenter of Sydney's world-famous and world-class fireworks. Circular Quay is both Sydney's main transportation hub and one of its most scenic places. Located between The Rocks and the Royal Botanic Gardens, this is the home of the two most famous attractions in the city: the Opera House and the Harbour Bridge. The quay's main purpose, however, is transportation. It is a stop or terminal for trains, buses, ferries and taxis. Additionally, the area is filled with restaurants and bars overlooking Sydney Harbour. 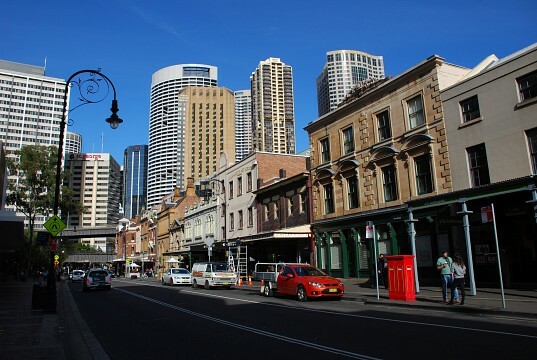 The city's oldest neighborhood, The Rocks is the location of the first colonist settlement in Australia. Although the district has known many hardships and has had a rather turbulent history, nowadays it is a peaceful area with old sandstone buildings, cobblestone streets and many monuments. This is probably the best place to learn about Sydney's history; the The Rocks Discovery Museum is excellent. Rising above all other buildings, the Sydney Tower is the tall and spiky buildins that is visible in every photo of Sydney's skyline. It is a popular attraction and the panoramic views of the city and Sydney Harbour are nothing less than phenomenal, especially on a clear and sunny day. The harbor is the tourism center of the city with its iconic bridge and Opera House. You can participate in a fully guided (and harnessed) Sydney Harbour Bridge climb or appreciate it from a number of locations around the Rocks area. The Sydney Opera House is open for daily tours, or check the schedule of current performances to witness this famous building in action. 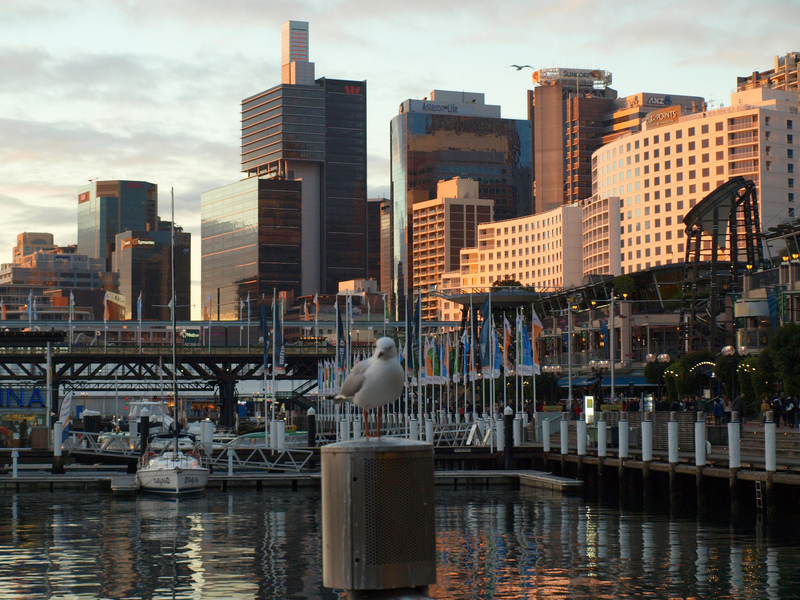 Darling Harbour is a major tourist precinct that features restaurants, shopping facilities, and a number of museums, including the Australian National Maritime Museum and Powerhouse Museum with its interactive scientific displays. The Art Gallery of New South Wales is one of the country’s premier art galleries with an extensive classical collection, as well as some more modern and Aboriginal works, near the Botanic Gardens. The Museum of Contemporary Art near Circular Quay is dedicated to modern art and home to a number of permanent and temporary exhibitions. The Royal Botanic Gardens Sydney were established in 1816 and are now a tranquil oasis in the middle of this busy metropolis. Covering 30 hectares and with 7,500 plant species represented, they have an enviable location overlooking Sydney Harbour. The Royal Botanic Gardens offers some of the very best views of both the Opera House and the Harbour Bridge. The park is free to visit and is always filled with sunbathers, families, couples and other people looking for a relaxing time. Fort Denison is a former penal colony and military defensive structure on a small island, known as Pinchgut Island, in the middle of Sydney Harbour. Nowadays, the island is a museum, a tourist attraction and a popular venue for weddings and events. 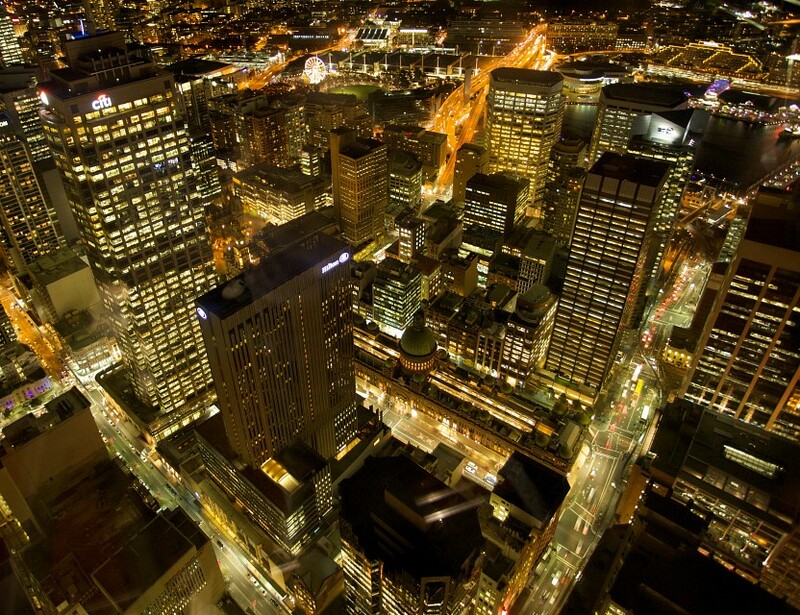 The views of the Sydney CBD are exceptional. 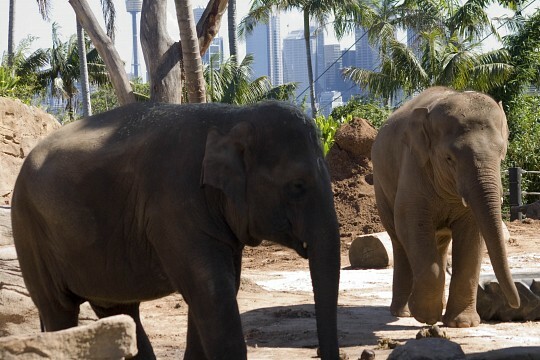 Taronga Zoo, home to a large number of different animal species, is just a short ferry ride from the city center, while the Sea Life Sydney Aquarium offers a fascinating look at marine life, located in Darling Harbour. 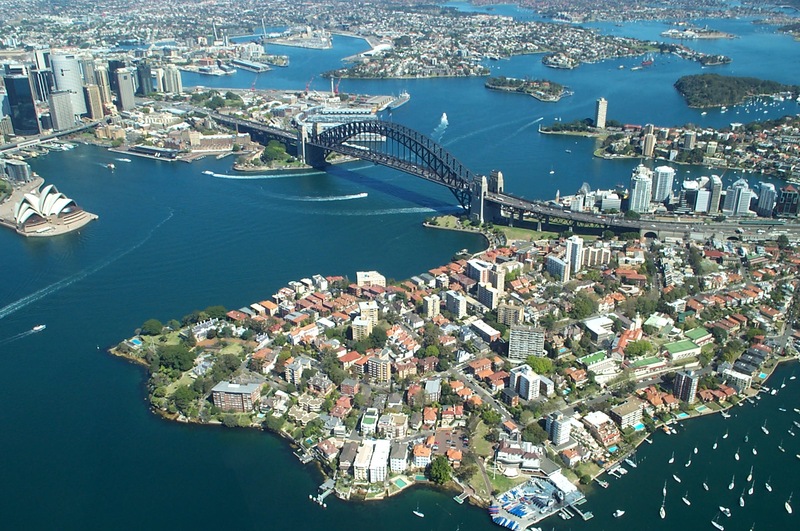 Sydney Harbour National Park protects the vulnerable Sydney Harbour and its bays, inlets, beaches and shores. 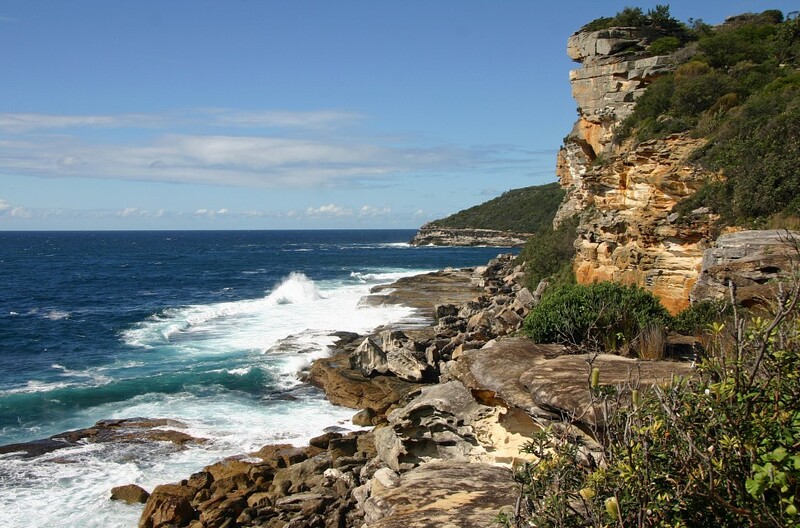 Covering about 400 hectares, the whole national park lies within the borders of Sydney. It is known for its historic sites, including some Aboriginal, colonial and military. Particularly the ancient Aboriginal rock art sites are worth seeing. Additionally, the park is a great and popular place among tourist and locals alike, who go there to picnic, hike, bike and/or swim. At New Year's Eve this is one of the best vantage points to see the famous fireworks. This rectangular 40-acre public park is the oldest public park in all of Australia. It is located on the eastern edge of the Sydney CBD and is the southernmost of a series of urban parkland that stretches north to Sydney Harbour and also includes The Domain and the Royal Botanic Gardens Sydney. The park is lined with several major institutions and buildings, such as St Mary's Cathedral, the Hyde Park Barracks, the Supreme Court of New South Wales, the Australian Museum and Sydney Hospital. Located next to Hyde Park in central Sydney, St. Mary's Cathedral, or the Metropolitan Cathedral of Saint Mary, is the seat of the Archbishop of Sydney. It is the longest church in Australia, although it is not the tallest nor is it the largest in terms of surface area. The cathedral with its twin spires is an imposing sight to behold from every angle. The renowned Australian Museum is located on College Street next to Hyde Park and is Australia's oldest museum. It has an international reputation in anthropology and natural history, featuring large collections of animals, paleontology, minerals and anthropology. It is also known for its studies in the field of indigenous research and for its community programs. Wild Life Sydney Zoo used to be known as Sydney Wildlife World and lies in Darling Harbour, Sydney's main entertainment district. The zoo is divided into ten exhibits, all displaying native Australian wildlife and habitats. There are koalas, cassowaries, crocodiles, Tasmanian devils, butterflies and, of course, several kangaroos. The popular Sea Life Sydney Aquarium is also located in Darling Harbour and showcases a huge variety of aquatic life in Australia. There are 700 different species and more than 13,000 individuals, including numerous fish, but also other sea creatures that live in Australia's waters. The aquarium consists of fourteen zones, all featuring a different theme and habitat. Species on display include sharks, turtles, jellyfish, platypuses and two dugongs. Built on the ruins of the house of Arthur Philip, the first Governor of New South Wales, the Museum of Sydney is home to exhibits showcasing colonial and contemporary Sydney through digital media, artefacts and pictures. Particularly the convict era is well-represented by goods and objects found across 25 archaeological sites. Sydney's Chinatown is situated in a southern area of the city's CBD, between Darling Harbour and Central Station. Home to many Chinese and Asian food stores, markets and restaurants, this is the largest Chinatown in Australia. 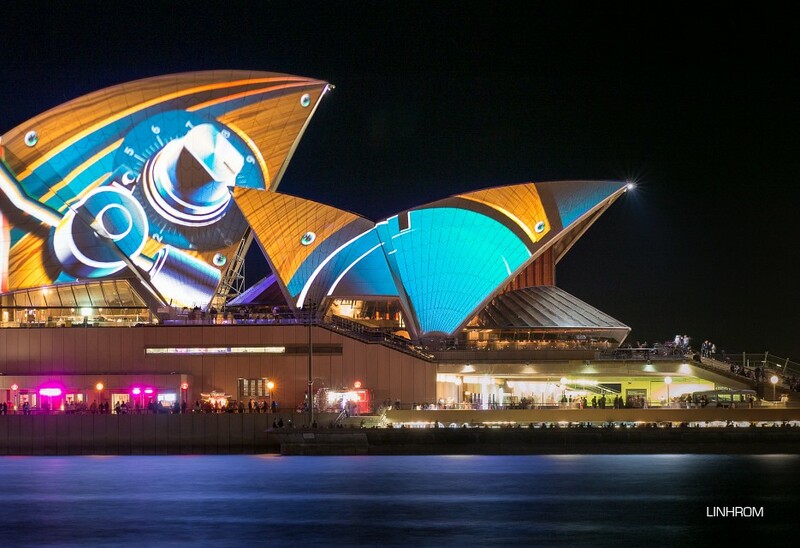 In January, the Sydney Festival, a large arts initiative, is held with international and local artists represented. A number of free outdoor events, such as Jazz in the Domain and Symphony in the Domain, are put on for the public, so if you are visiting during this time, grab a program and check what is on. 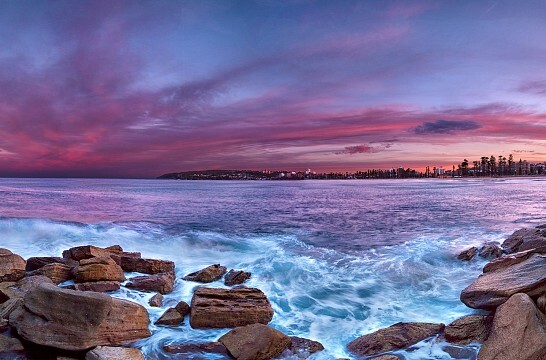 Sydney is home to a number of world-famous beaches, such as Coogee Beach, Bronte Beach, and Manly Beach. The most famous beach of them all, by far, is Bondi Beach, which is hands down the best place to see and be seen in Sydney. All Sydney beaches have excellent cafés, restaurants and boutiques, and make for great day-trips if you want to escape the busy CBD. The beaches can be accessed by bus or train. 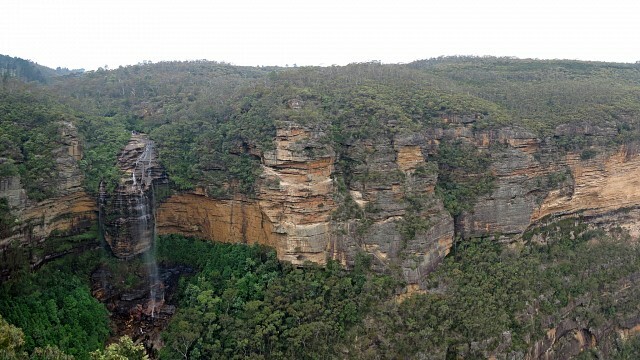 The Blue Mountains National Park is technically not located within the city borders. It is, however, a vast expanse of wilderness that lies on the doorsteps of one of the world's greatest cities. The train ride doesn't take longer than two hours. The Blue Mountains consist of sheer cliffs, eucalypt-covered valleys, huge numbers of wildlife, a few excellent attractions and miles upon miles of hiking trails. The one major highlights, which draws in countless visitors every year, is the famous Three Sisters rock formation. For those on a budget, Sydney has a huge range of hostels located around Kings Cross, Haymarket, and Bondi areas while the mid-range options tend to be outside of the city center, particularly on the roads leading into the city from the southwest. If you are coming by car, these are also a good option as getting in and around the CBD can be difficult. The Rocks and Darling Harbor areas are home to Sydney’s luxury hotels and are worth the splurge for their fantastic views across the harbor and city, as well as proximity to all the action. With a large multicultural community, you can get anything your stomach desires in Sydney. Excellent cafés abound for reasonably priced breakfasts while many Asian eateries within the city center do cheap lunchtime specials. Head to Newtown in the inner-west for a more alternative eating and drinking scene near Sydney University, or Chinatown is always a good option for excellent Asian food. The Rocks and Harbor areas are home to more upmarket restaurants with some of the best restaurants and chefs in Australia found here. Sydney is a shopping mecca with all the big brands represented and prices to meet all budgets. Souvenirs such as stuffed Koalas and boomerangs can be bought throughout the city, together with Australian opals. European label boutiques can be found in trendy Castlereagh Street with Oxford Street representing the high-end Australian fashion boutiques. Pitt Street Mall is the main shopping street in the city with most chain and department stores represented. The stunning 19th century Queen Victoria Building in the heart of the city has more than 400 stores and is an architecturally beautiful place to shop. The basement has cheaper stores and as you go higher, it get progressively more expensive with the top level home to exclusive boutiques. 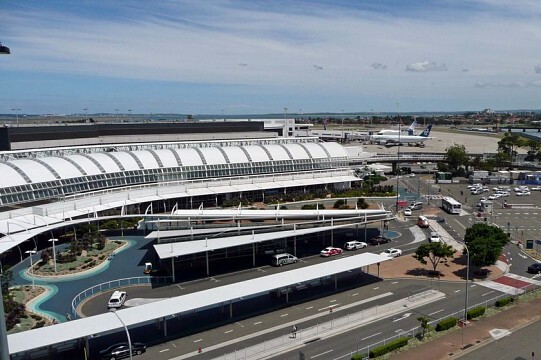 Sydney Kingsford-Smith International Airport is a major Australian transport hub with flights connecting Sydney to the rest of the World. While Terminal 1 handles international flights, terminals 2 and 3 service domestic routes with direct flights to all Australian capital cities and a number of regional centers. Airport trains and a shuttle bus transport passengers to the city center from between $12 AUD ($9.84 USD)- $17 AUD ($14 USD). Buses connecting to other Australian cities depart and arrive adjacent to the train station in the city’s south. Greyhound is the major operator with an extensive network throughout the country. Train travel tends to be a bit slower with CountryLink servicing Brisbane, Melbourne, Canberra, and a number of NSW regional centers. The Indian Pacific railway links Perth with Sydney via Adelaide. Tickets are generally more expensive than flying but the journey will appeal to train enthusiasts. Rail, bus, ferry, and light rail comprise to make Sydney’s public transport network. The easiest and cheapest way to use this system is to purchase a touch-and-go Opal card that operates across all systems. Alternatively, individual tickets can be bought at train and ferry stations or from bus drivers.